GIFTS – RAFFLES – FOOD – DRINKS! BRING A FRIEND TO RECEIVE THIS AMAZING PROMOTION! RSVP FOR YOU AND YOUR FRIEND TODAY! 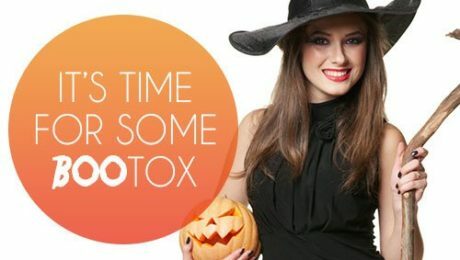 * A friend MUST be present and purchase Botox to receive $9/unit Botox for both parties. Special pricing is available for this event only. Space is limited. Appointments are made on a first-come, first-serve basis. No other promotions may be combined during this event. 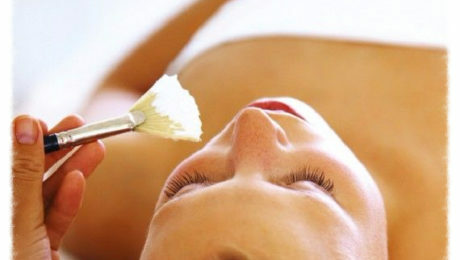 IMPECCABLE FACIAL – ONLY $69*! 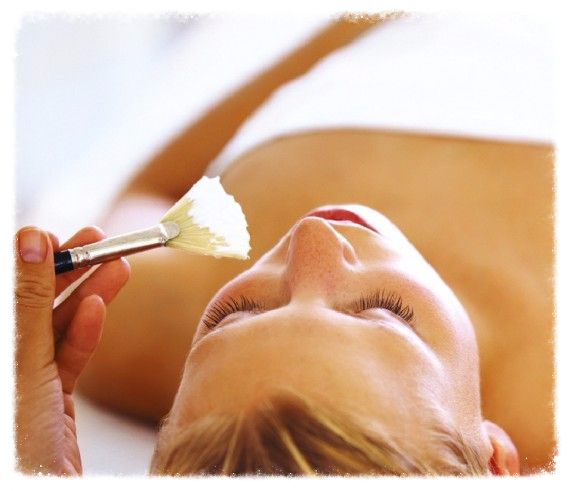 Our signature facial customized for your specific skin type. COMPLIMENTARY NuFACE TREATMENT WITH YOUR FACIAL! * Regular price $99. Limited time only promotion. Offer expires 8/15/16. NuFACE is a natural, non-invasive facial lifting device that uses microcurrent technology. NuFACE will improve wrinkle reduction, skin tone and contour with your facial! LIKE BOTOX? YOU’LL LOVE DYSPORT!! FLASH SALE!! ONE WEEK ONLY! *While supplies last. Sale ends 7/23/2016. 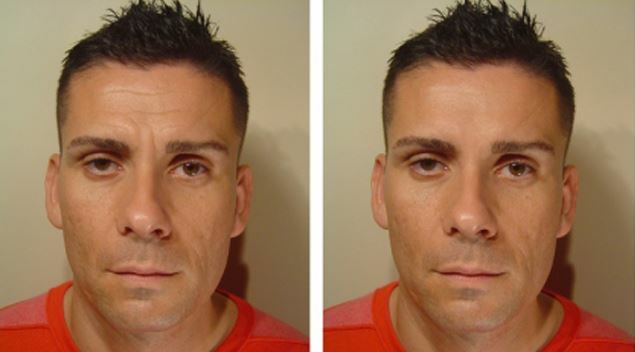 Dysport™, almost identical to Botox®, is used to smooth frown lines, wrinkles between the eyebrows and forehead, and smooth crow’s feet around the eyes. Skinpeccable will be closed on Monday September 2nd for Labor Day. We will be open again on Tuesday September 3rd during regular business hours. We wish you all a safe and happy holiday. Skinpeccable will be closed on July 4th and 5th for Independence Day. We will be open again on Monday July 8th during regular business hours. We wish you all a safe and happy holiday. As one of the most well-known dermatology providers in Brentwood California, Skinpeccable Dermatology & Cosmetic Laser Center offers the most sought after services to provide younger looking smoother skin, and freedom from spots, redness, and acne. Whether you’re experiencing problems such as wrinkles or pimples, or you simply want to enhance the beauty you were born with, it may be time to visit the dermatology office of Dr. Raphael Darvish for a consultation. Dr. Darvish is not only a top cosmetics dermatologist in the US but he is also the founder of Skinpeccable. The goal of the Skinpeccable team is not only to be the premier Brentwood dermatology center, but to always offer the most advanced technologies in skin care and provide patients with the best dermatology treatment available anywhere. Laser Removal of Spider Veins – If the veins in your legs are enlarged and or bluish in color, don’t wait for this condition to worsen. If the condition is neglected, the veins have the tendency to become more prominent and more visible over time. Laser therapy is the best treatment available. Actual treatment lasts only 15 to 30 minutes while the number of sessions required to minimize the appearance of the veins depend on the prominence and size of the affected area. The best results are seen after the second session of laser therapy as the veins become visibly smaller and lighter in color. FLT for Stretch Marks – Unfortunately for us, women more commonly than men are prone to developing stretch marks. Fractionated Laser Treatment is an effective “eraser” for stretch marks. This treatment is even approved by the FDA. It is safe, effective, and one of the few surefire ways to address stretch marks. Eczema Treatment – Do you have tiny cracks on your feet and on your palms? To the itch and does healing seem to take forever? You may be suffering from eczema. Eczema is a skin condition caused by bacteria and related to stress. Steroid creams can effectively relieve patients from itching and scaling. Skinpeccable offers a number of effective treatments, and Dr. Darvish can help patients decide which option is best for them. 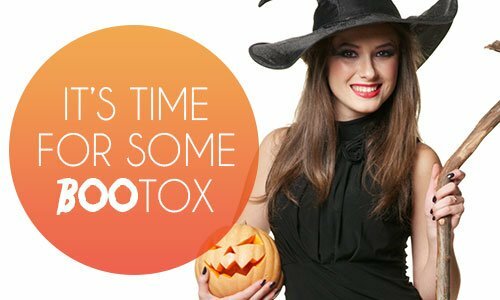 We offer Botox, Juvederm, Photofacials, Peels, laser hair removal and so much more. The full list of services we offer is far too long to cover in a single post. Browse our website to see the many treatments we offer. Or call us to discuss even more treatments that we have not debuted on our website. A dermatologist is one physician whose importance people often overlook. Contrary to what you may be thinking, a dermatologist is not only a doctor who makes women beautiful. Dermatologists are the professionals that patients realize they need in times of skin-related conditions such as allergies, scabies, and warts. There are a number of benefits associated with having and regularly visiting a family dermatologist. Patients can expect to grow old healthfully and beautifully. Visiting a dermatologist on a regular basis ensures that patients detect possible signs of diseases and infections while treatment options still have a high rate of success. The doctor will monitor and check symptoms and provide the safest and most effective treatment. In the long run, patients can expect to age with better skin, but more importantly, with a better overall level of health. A dermatologist can do more than just identify skin conditions; a dermatologist can help patients identify a specific treatment regimen that will work best on their skin. If possible, a patient should also choose a regular doctor so a thorough medical history can be accessed easily. Having a concise medical record is ideal when undergoing surgical treatment or procedures that require a medical background check. Of course, dermatologists do tend to cosmetic concerns as well. This is part of the territory when dealing with the most visible organ of the body. If you’ve noticed the wrinkles on your forehead, perhaps you’re trying to figure out how to regain a smooth and youthful face. Stop worrying about your skin and start aging gracefully with the help of your dermatologist. Find an experienced provider like Santa Monica dermatologist Dr. Darvish, who can help you decide the treatment that will work best for you. 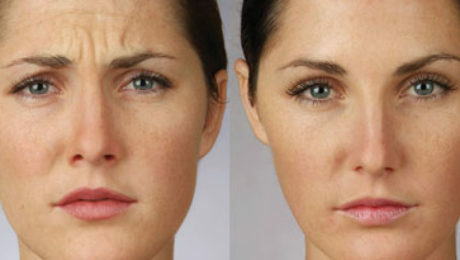 Maybe you feel like you need laser therapy but perhaps Juvederm treatments will work perfectly. Visit today for a full consultation and evaluation. Obtain the skin that you have been wishing for and stop worrying about what people are thinking or saying about your skin. Improve your confidence and self-image. Visit Skinpeccable Dermatology & Cosmetic Laser Center today to hear about what Dr. Darvish can do for you. He is always happy to answer all your questions and give you the best idea of how you can improve your skin. Skinpeccable will be closed on Memorial Day Monday, May 27th and will reopen for normal business hours on Tuesday, May 28th at 9:00 a.m. If you have an emergency and need to see a doctor, dial 911. Happy Holidays! Aside from the face, the skin is often the part of the body that gets the most care, attention and also provides the biggest source of concern. If you have a flawless skin, people notice, people comment, and it’s better not to think of what people say if you don’t. It can seem almost impossible to maintain a beautiful blemish free skin. Scars happen to a lot of patients during adolescence and can remain for years and decades. But a lot of individuals are surprised to learn that most acne scars and skin problems can be resolved sometimes after only a single treatment. It is important that patients do their best to keep the skin as clean as possible and refrain from scratching or irritating the skin in the time leading up to treatment. With treatments for acne scar removal at Los Angeles’s own Skinpeccable, scars will begin to fade after the first treatment and before long will no longer be visible. In the event that discolorations remain after the scars are treated patients can request additional treatments from Dr. Darvish. Dr. Raphael Darvish is always happy to advise patients on the various laser treatments offered at Skinpeccable. Laser acne scare removal offers a permanent solution to ugly scarring. Unlike prescription ointments and creams that do not guarantee results, laser surgery can address all types of scars, including acne scars and keloids. Laser acne scar removal is the only permanent solution for acne scars and one of the most popular treatments at Skinpeccable in Los Angeles. Skinpeccable Dermatology & Cosmetic Laser Center offers Fractionated Laser Treatment (FLT), which is widely regarded as the most effective procedure for removing of scars and other unsightly marks, and improving the overall condition of the skin. FLT can effectively cure damaged areas of the skin while leaving the healthy parts untouched. This type of laser surgery is gentle enough even for those with sensitive skin. While FLT is highly effective, it is also an easy to tolerate procedure that does not require long periods of time to fully recover from. The most common side effect of laser treatments is redness of the skin and sensitivity. The skin will quickly return to normal within a few days. Submit your contact information by email to schedule a consultation or to learn more. Acne is a skin condition in which the patient experiences oily skin, pimples and breakouts. Unsightly marks appear on the face and body and can lower an individual’s self-esteem. When over the counter creams, treatments and beauty products are unable to treat the problem, it may be time to decide on one of Santa Monica’s local licensed acne dermatologists. How can a dermatologist help you solve your acne? Acne can be more than just an annoying condition. Patients should never self-prescribe or experiment on your acne ridden skin. Using products that harm the skin when it is already in a sensitive state can cause irreversible damage to the skin, including permanent deep holes and scarring. Patients local to the Santa Monica area are advised to seek professional help from a dedicated acne dermatologist like the talented Dr. Raphael Darvish. During the initial consultation, Dr. Darvish will assess what kinds of treatments are most suitable for your specific conditions. The same treatment isn’t right for everyone and your skin type, age, and diet even play into how your body reacts. So even if your friend is using a doctor prescribed product, it does not necessarily mean that the same product will help your acne; it could possibly make it worse. There are different degrees of acne and only a doctor can give precise instructions on how to treat the skin problems troubling you. Many times, dermatologists prescribe a strong antibiotic to control the breakout of pimples. In other cases, tropical ointments are also prescribed to clear the person’s face when large pimples and blackheads are a symptom. A mild facial cleanser is often necessary to keep problem areas clean and free from bacteria. In more severe cases, patients have scars and dark reddish marks from acne experienced years in the past. This can be difficult to clear up even when creams and astringents are applied. These beauty products can peel off the outer layer of the skin but the scars remain visible. Most doctors recommend laser treatments to remove the scarring caused by pimples. Laser acne treatments are a standard procedure to address acne-scarring, blackheads, and skin pigmentation. Skinpeccable Dermatology & Cosmetic Laser Center can help you win the battle against pimples and acne. The clinic is equipped with innovative laser technology that can effectively get rid of acne under Dr. Darvish’s professional direction. Within 6 to 10 sessions, most patients obtain a dramatically clearer and smoother complexion.